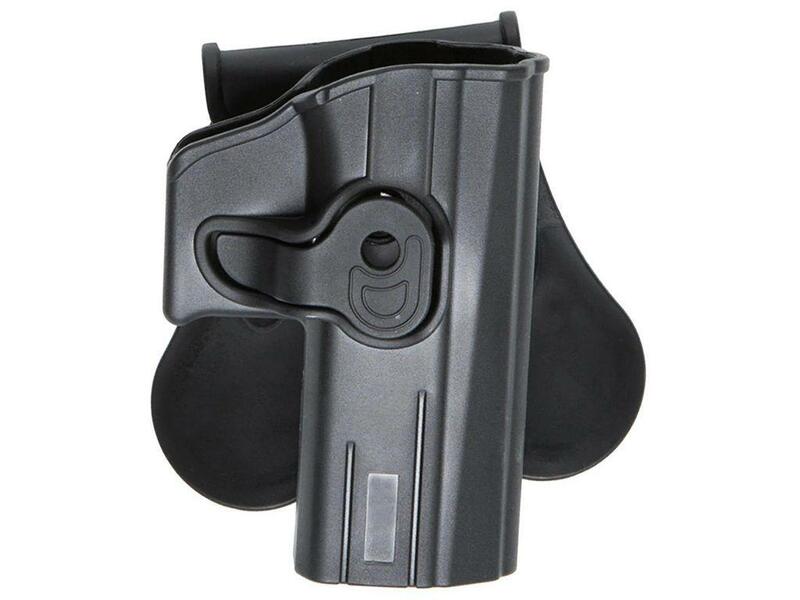 ASG CZ P-07/P-09 Pistol Holster | ReplicaAirguns.ca | Easter Weekend Sale! Comments: Made from durable, high-tech black polymer Strike System CZ P-07/P-09 holsters can rotate 360 degrees in fixed position every 9 degrees, which allows for easy fit for every application (small of back, cross draw, side draw etc.) With the large release/lock lever, the weapon sits firm and secured inside the holster for all demanding situations. 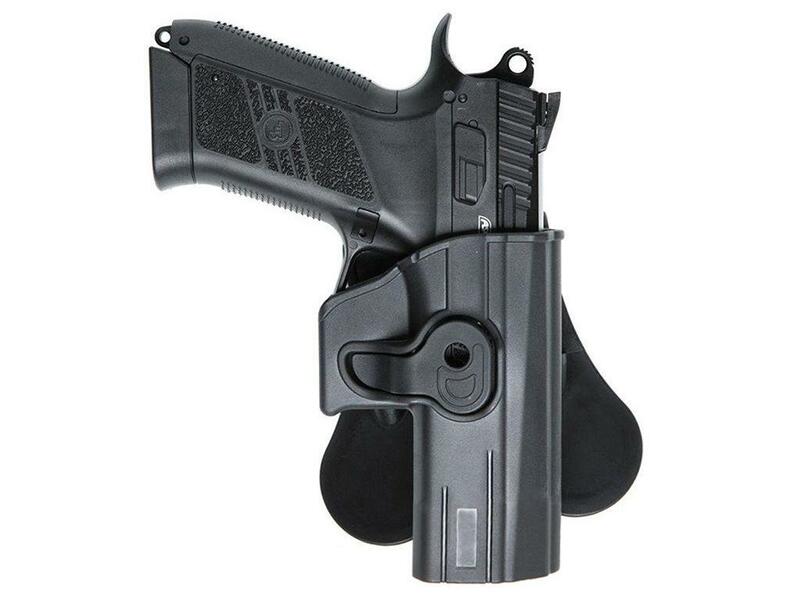 The holster comes standard with a paddle mount for belts up to 42 mm width or pant waists allowing for concealed carry. The paddle features a rubberized back for comfort and better grip. In addition the the CZ P-07 and CZ P-09, this holster can also be used with our GNB CZ SP-01 Shadow and the BERSA Thunder 9 pro.